Your search for the top CBSE Schools in Kolkata rightly ends here. These schools are known and recognized for all-round excellence coupled with constant commitment to bettering standards of education. Click and discover the Top CBSE schools in Kolkata 2019. Mahadevi Birla World Academy founded in the year 1959 imparts contemporary education which encourages students to accept modern thoughts while respecting our traditional values. Hariyana Vidya Mandir, an English medium, private, unaided co-educational school affiliated to CBSE, run and managed by Hariyana Sewa Sadan Trust which was established in the year 1992. Abhinav Bharati Bal Mandir was established in the year 1945 as the first Montessori House of children in Calcutta at the time by the untiring efforts of Late Gyanwati Lath. Bodhi Bhavans Collegiate School, Kolkata aims at the all round growth of the students and strives to inculcate in them a positive and healthy, physical, emotional and intellectual attitude. Bhavan's Gangabux Kanoria Vidyamandir (BGKV) is a co-educational private secondary school in Kolkata, established in the year 1984. 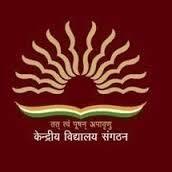 Birla High School for Boys in Kolkata, West Bengal was founded by Lakshmi Niwas Birla in the year 1941. Sushila Birla Girls School provides a warm, caring, stimulating and challenging environment in which our students learn and develop. Army Public School, Kolkata was started in the year 1994 under the aegis of the Army Welfare Education Society (AWES) to answer the scholastic needs of the children of the Army personnel. Future Hope School, English medium school was set up in the year 1993 and caters to the special needs of our children in a number of ways. IBMI aims to provide individual attention to each child, its touch and feel apparatus, (like building blocks and educational toys which are used to develop child’s sensory & motor abilities), is as much a part of the curriculum as multimedia enhanced nursery rhymes. Lakshmipat Singhania Academy (LSA) is a group of schools run by Lakshmipat Singhania Education Foundation, a subsidiary of the J.
Riverdale High School is a CBSE School right in the heart of Garia, at Kolkata.